High quality refined oil begins with a high-quality crude oil. Vesteraalens achieves this by acquiring and processing the raw materials while it is still fresh. Producing a high-quality Omega3 Fish Oil requires a dedicated and careful handling of the entire production process, from the raw material to the finished goods. 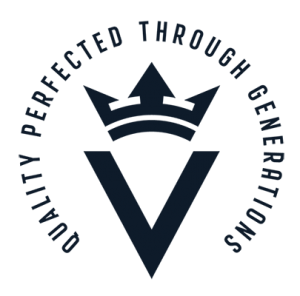 In order to ensure this, Vesteraalens production process is fully vertically integrated. This allows for a full control of the incoming raw materials from local fish landing sites, the low-temperature extraction of the crude oil and its refining into premium quality finished goods. Production of Vesteraalens Omega3 Fish oil begins with the gentle, mechanical separation of crude oil from the freshest raw materials of Arctic cod (Gadus morhua). Carefully controlled low temperature and nitrogen coverage during crude oil production and also throughout the following steps of refining are key to prevent oxidative damage of the sensitive oils. The so-called winterisation process removes a certain fraction with higher melting point by physical means, which prevents cloudiness of the oil under storage in the refrigerator.Treatment with activated carbon and natural bleaching earths adsorb and remove impurities, like soaps, phospholipids, and trace metals from the oils. The final step of deodorisation under carefully monitored temperature and low pressure assures the removal of unwanted components, including environmental contaminants, like PCB´s and others, so that the finished oil are in accordance to the strictest international, legal recommendations.